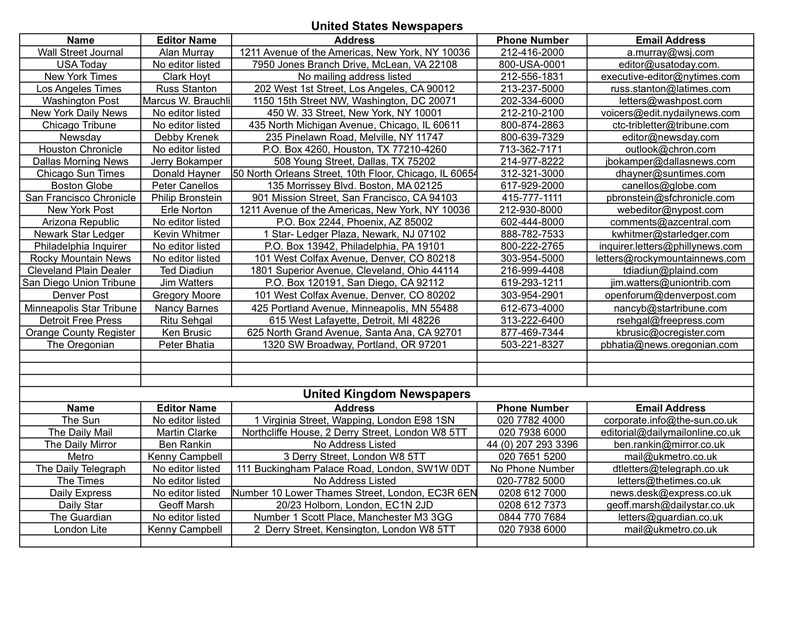 As part of my ongoing struggle to find well written news, I decided to contact the editors of several major newspapers in the US & UK. I asked them one simple question. I of course turned to my concierge to assemble first a list of the top 25 newspapers in the US and UK. Then I had them research contact information for the editor of each newspaper. Below is the list I received back from them, which I then did a simple mail merge and sent my question to. Over about a 2 month time period after I sent my email I heard back from about 10 of the 35 editors that I contacted, which was more than I thought I would actually hear back from. I need a spreadsheet with the names and email addresses of the editors of the 25 most read newspapers in the United States and in the UK. 48 hours later I received the spreadsheet below. This is awesome Russ! Was there any fee for this? Or is this part of the Amex Concierge program?? Its included in the annual fee for the credit card. That sounds like a really interesting study. Can you share the list of top reporters? Or any insights you gained about the newspapers?